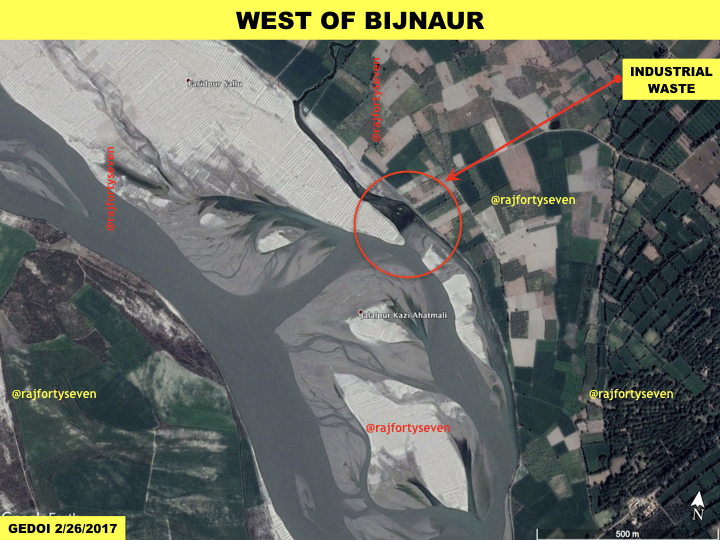 Images of the Ganga at six key locations show how the river deteriorates, turning from blue to green to muddy, thanks to pollution. One of the first electoral promises of Narendra Modi made from the ghats of Varanasi in 2014 was to clean the Ganga. After coming to power, his government announced the massive Namami Gange project which would be allocated Rs 20,000 crore. Four years on, cleaning the Ganga has proved to be a daunting task for the government. Inter-ministerial tussles, lack of cooperation from states, and lack of efficient sewage treatment plants have meant that the river still flows filthy. Over three-quarters of all waste from the northern plains still flow into the Ganga untreated, while funds allocated for the programme lie unutilised — only Rs 4,753 crore of Rs 21,453 crore has been used till May 2018 shows government data. Also, a little more than a fourth of the projects started — 58 out of 205 have been completed. Over decades, governments and their programmes have failed to keep the pollution in check. Modi’s cabinet reshuffle in 2017 put Nitin Gadkari in charge of Namami Gange, as previous minister Uma Bharti could not deliver. 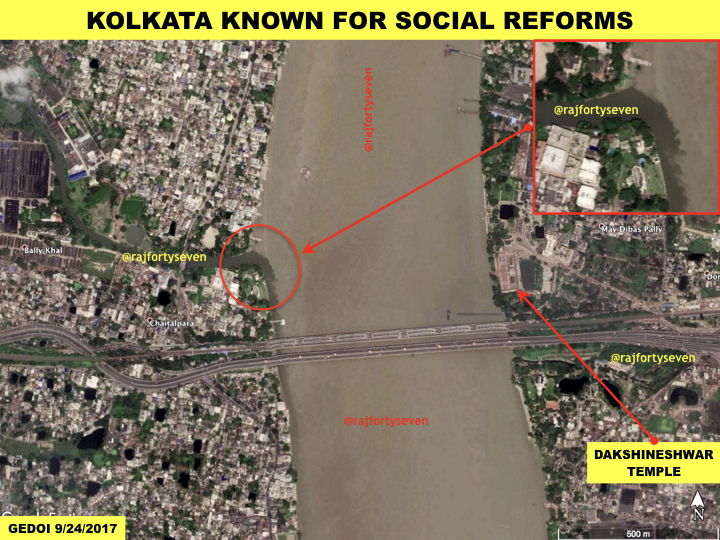 Gadkari recently promised that the cleanup of the river will be complete by December 2019. 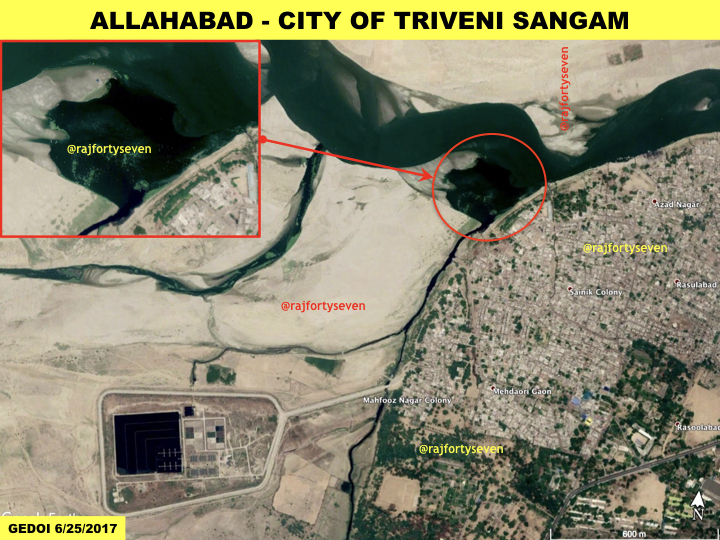 ThePrint brings satellite images of the Ganga as it flows through six key areas, revealing the extent of damage and showing that pollution is still a major concern for the river. Ganga starts from Gangotri at Gomukh. 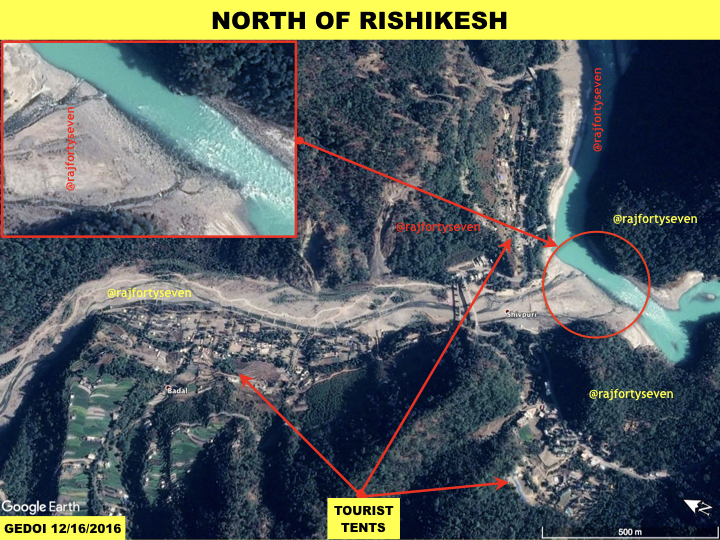 The first city en route is Rishikesh, a holy city for Hindus which attracts tourists by the thousands in the region, especially the young who camp in the area. 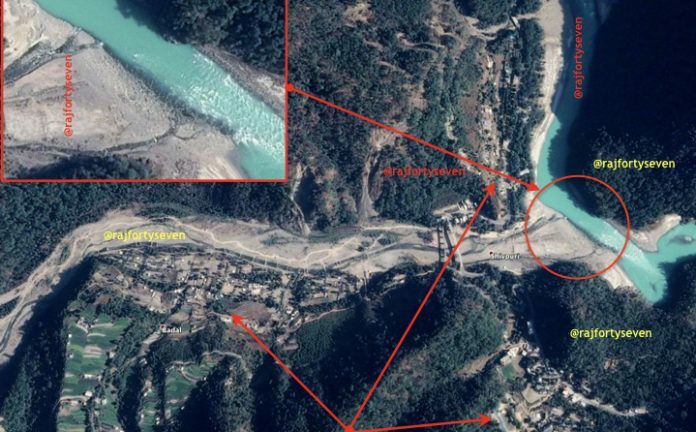 The satellite images show the river is the cleanest at this point as it emerges out of the mountains, but a nala (drain) carrying waste joins the river near the north of the city. Even in smaller cities like Bijnaur, industrial and domestic waste reach the Ganga through small drains and contribute significantly toward lowering the quality of water. The thick black nala is visible proof of the enormous sludge it carries from the city into the river. The Central Pollution Control Board has identified Kanpur in Uttar Pradesh as the ‘most polluted stretch’ of the Ganga. Many canals pour industrial waste into the river. The water treatment plant just south of the canal has not been operational for at least last two decades. 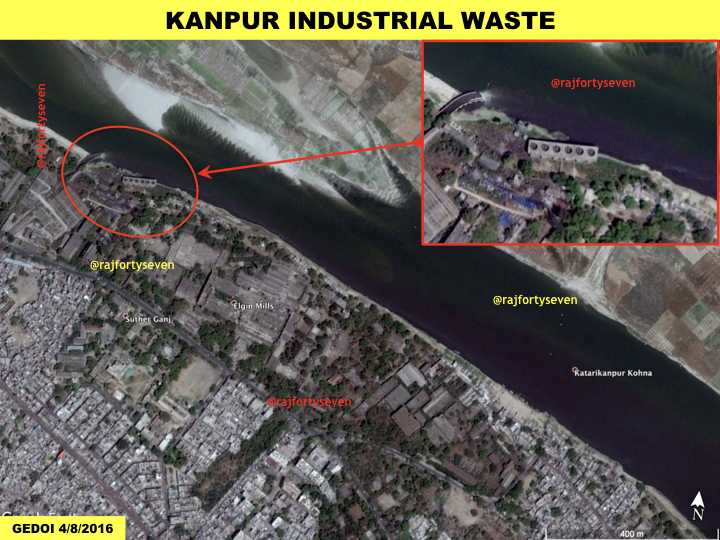 The city also hosts many tanneries which flood the Ganga with industrial pollutants and dangerous chemicals. Even as CM Adityanath calls for shutting down of tanneries in Kanpur, the Allahabad administration has not awakened from its slumber. Nalas in the city carry heavy slime and silt to the Ganga endangering the river ecosystem. The river turns a dark green by the time it reaches Allahabad. 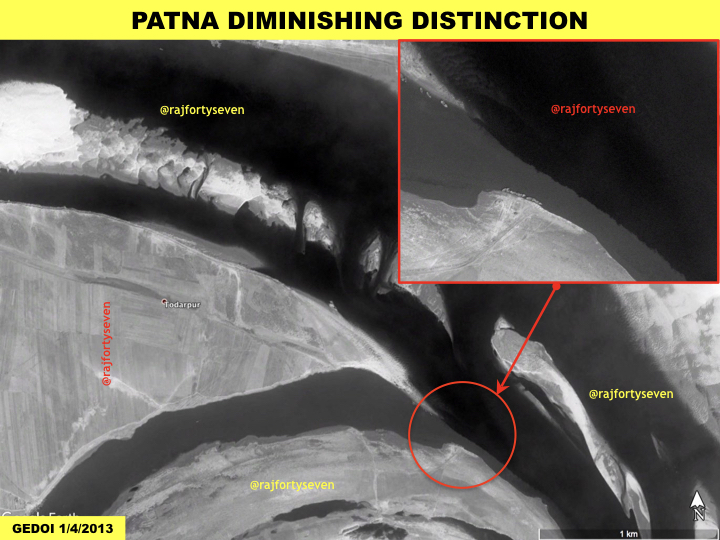 The degradation of the Ganga continues in Bihar. Here the distinction diminishes between nalas and the Ganga. At many places, the Ganga looks dark green to black in colour indicating huge amounts of pollutants present in the waters. By the time the Ganga reaches Kolkata, it has travelled almost 2,500 km. Right in front of the famous Dakshineshwar temple, a nala joins the Ganga carrying a large amount of industrial and domestic sludge. The Ganga now appears muddy and brown, starkly different from the clear blue near Rishikesh. Polluted Ganga is not the only big failure of Modi government; missed opportunity as 2019 approaches.